Wall Street and pundits have been buzzing about how the luxury real estate market has turned cold–even in Manhattan, San Francisco… as well as Rancho Santa Fe. And more than a few are whispering about the great buys to be found–perhaps even in the Rancho Santa Fe real estate market. And one day, we predict, buyers will look back on this 2009 market and wish they had bought their dream home in these times of uncertainty. As of this writing, there are 256 homes on the market in Rancho Santa Fe’s 92067 zip code, and of those, only four are attached dwellings. A full third of those Rancho Santa Fe homes have had price decreases from the original dates of their listing–and we are even beginning to see short sales and pending foreclosures within this wealthy community. Still, the average price for a home in Rancho Santa Fe runs $4,984,596, while the median comes in at $3,420,000–and the average price per square foot rings in at $699. Of course, most of these homes sit on precious acreage, which is not counted in that figure. 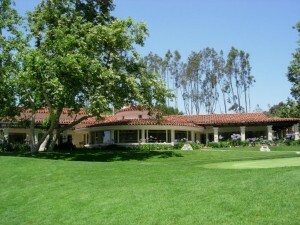 The average days on market for a Rancho Santa Fe listing is running 141 days, with a median of 104 days. And according to the Sandicor MLS, the least expensive home in Rancho Santa Fe (92067) is $866,500 for a large 2-bedroom condo on Via de Santa Fe, while most expensive is a dazzling estate on Los Arboles priced at $35 million. We advise Rancho Santa Fe sellers who don’t have to sell to wait until market conditions improve–unless they have their eye on another irresistable real estate opportunity. In that case, one can expect to sell low–and hopefully buy even lower. Property is now priced $1,500,000++ BELOW REPLACEMENT VALUE today! Seller has relocated and is walking away. Unparalleled opportunity! Based on information from California Regional Multiple Listing Service, Inc. as of April 23, 2019 22:33 and/or other sources. All data, including all measurements and calculations of area, is obtained from various sources and has not been, and will not be, verified by broker or MLS. All information should be independently reviewed and verified for accuracy. Properties may or may not be listed by the office/agent presenting the information.